Damage/Repair Surface scratches, minor chips, and general wear. Bead Size 7 mm dia. See picture with penny for size comparison. 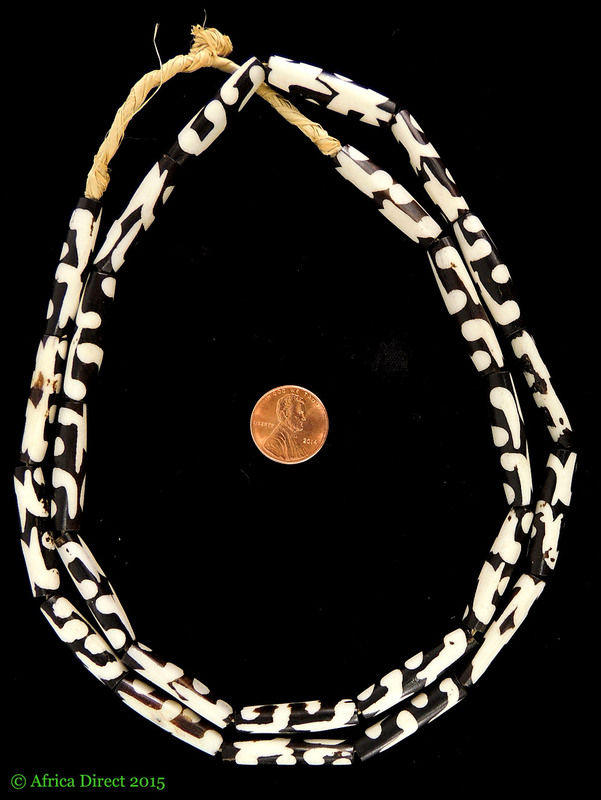 Additional Information: Mudcloth beads are made of bone and are created in Africa using a “batik” technique. Wax is painted onto the bead to create a design, then the remaining surface is darkened with a vegetable dye. Once the dye is set, the wax is removed. The resulting graphic is reminiscent of the African “bogolanfini” fabric known as mudcloth.